As a founding brother of Thompsons Brothers, Barry takes great pride on where the business has come from over the last 40+ years. 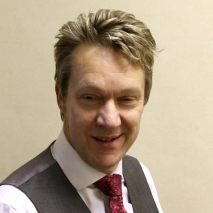 Barry’s ethos is ‘Communication is key’, coupled with his approachable, professional and enthusiasm; Barry create an infectious atmosphere where clients are given great service, added value and a real person to speak to when you need them. In April 2013, Barry was President of the Insurance Institute of Manchester, whilst also hosting and compering Insurance events for the CII. I launched “Barry’s Project 150” at my inaugaration and have pledged to raise £150,000 for The Young Oncology Unit at The Christie where he has been made an Ambassador for his fundraising efforts. See our Charity page for more information. This will be raised through the Manchester insurance industry, friends and family. To contact Barry you can use any of his contact details below. Thompson Brothers Insurance is authorised and regulated by the Financial Conduct Authority (FCA No. 305022). Thompson Brothers Insurance is registered in England & Wales No (No. 4553773). Registered office: 2nd Floor, 50 Fenchurch Street, London EC3M 3JY. Thompson Brothers Insurance is part of Global Risk Partners (GRP), a rapidly growing Top 20 broking intermediary and underwriting group. GRP comprises retail and Lloyd’s brokerages and specialist managing general agents trading in the UK retail and global, specialty insurance markets. It was established in 2013 by Peter Cullum, Chairman, David Margrett, Chief Executive, and Stephen Ross, Chief Operating Officer, and is backed by private equity firm Penta Capital LLP. Global Risk Partners acquires businesses, teams and portfolios that have niche, non-commoditised, specialty propositions and strong profitability.